A meeting to complete the unfinished agenda from the meeting on 21 March will be held on Thursday 11 April at The Allangrange Arms, Munlochy, at 7.30. The main business will be matters arising from the meeting held on 6 December. Greenpeace have accused Sainsburys of doing less than other supermarkets to try to reduce their use of plastic packaging. 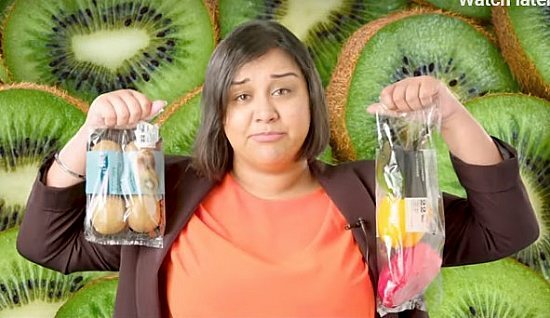 We aren’t really convinced that any supermarket is doing as much as they could to reduce plastic waste, but Sainsburys has been singled out by Greenpeace for this slightly tongue-in-cheek video. Have a look and see if you think your local supermarket is any better. 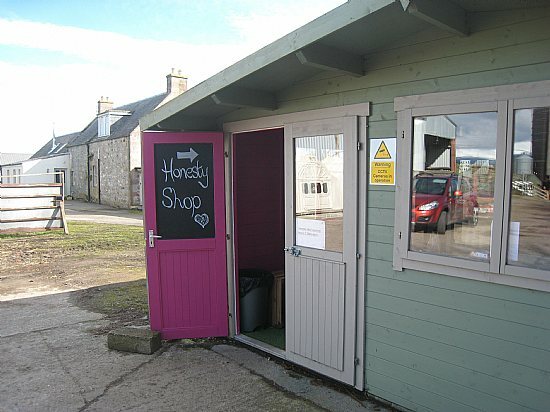 Black Isle Dairy has recently installed a milk dispenser in its 'Honesty Shed' at Rootfield Farm, which means that their whole milk is no longer supplied in single use plastic bottles. Customers can now choose between bringing their own bottles or buying glass bottles for £2. The machine will dispense either 500ml or 1 litre, and without the expense of the plastic bottles the price has been reduced to 50p and £1 respectively. Easy to follow instructions are provided, and at the moment payment is by coins only, but a contactless card facility is also due to be installed. Black Isle Dairy's semi-skimmed milk (still in plastic bottles), their excellent and very different yogurt and wide range of ice creams are also available in the Honesty Shed, as well as sausages and pork from Black Isle Pork along the road and eggs from Ged Eggs at Meikle Geddes. "We decided to install the milk vending machine to allow us to cut down on single use plastic packaging and supply milk in reusable glass bottles without setting up a milk delivery service. 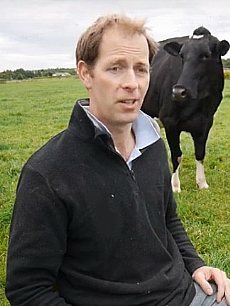 It also allows us to provide fresh milk straight from the cows which has been pasteurised but is otherwise unaltered and have direct contact with our customers." Nick deserves the thanks of all who are concerned about the environmental damage caused by single-use plastics for this enterprising and welcome innovation. Deposit Return Schemes: what exactly are they? 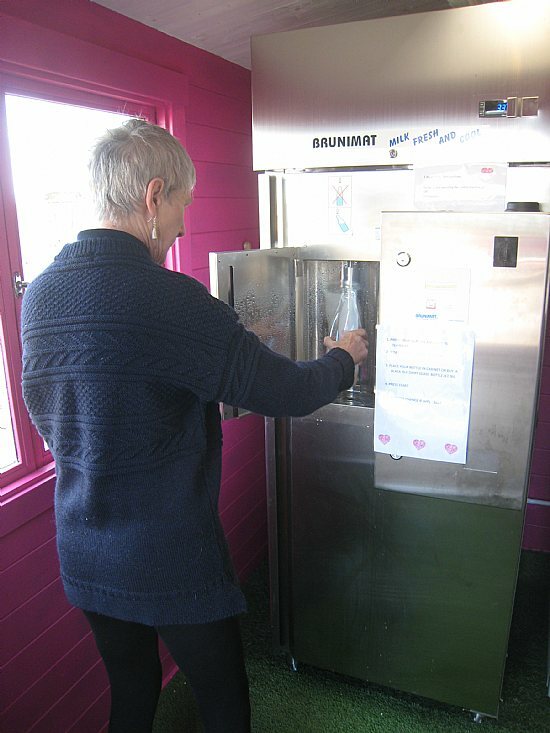 An item in the latest newsletter from SCCAN (Scottish Communities Climate Action Network) highlights the mission of a group called Refill Borders to "make refilling your water bottle as easy, convenient and cheap as possible, by introducing Refill Stations in every town and village". Prompted by concern about increasing plastic pollution of our rivers, Greenpeace has undertaken a UK-wide survey to establish its extent, and is promoting an online petition " . . to get the UK government to back an Environment Bill that slashes throwaway plastic and has a strong independent watchdog to enforce new, ambitious targets." "Plastics have been in the news a lot recently, several months ago we took the decision to stop supplying water in single use bottles, we are also sourcing soft drinks in general in glass bottles rather than plastic. "We have begun trialling compostable bags for our own label pre packs and 1kg packs, we hope to be using these bags shortly with a general changeover taking place over the coming months. These compostable bags will degrade in your compost heap, not in sunlight and are made from cellulose, they degrade through the process of anaerobic digestion. "Please note that the 3kg bags will still be made from plastic until a supplier of the compostable alternative can be found for these larger bags". 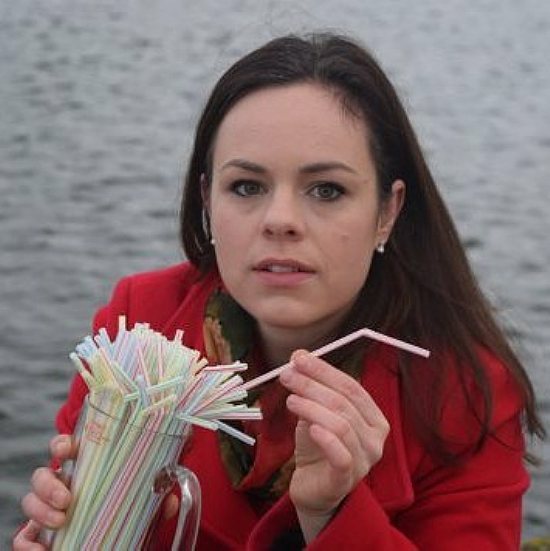 Kate Forbes, MSP for Skye, Lochaber and Badenoch, has been leading a campaign to eliminate the use of plastic straws. She said she started the campaign "to raise awareness of the blight of plastic waste on our coastlines, caused in part by our wasteful approach to food and drink packaging", and that while proud of the success achieved in the first year of the campaign, she was aware that much still remained to be done. Held on 6 December, 2018 at the Allengrange Arms, Munlochy. Welcome to the Drastic Plastic Webpage and to the newly formed TBI Plastic Waste Group. 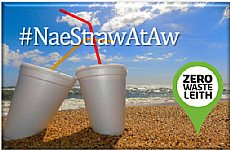 We consist of members who have got together and agreed that in the wake of the current horrors associated with Plastic Waste, we need to raise awareness of the issues and take action here on the Black Isle. These will be developed in future meetings and activities. The Drastic Plastic Group has been established to raise awareness of the issues surrounding plastic waste within the Black Isle. This will then enable members & businesses within the community to make their own informed choices as to the way they purchase, use, recycle or dispose of their plastic waste. To highlight the indiscriminate disposal of plastic waste either by the general public or by businesses. To educate the community in the dangers of plastic waste to both human and animal health and to equip the community with knowledge of suitable and sustainable alternatives. To encourage local manufacturing businesses and outlets to end the production and use of single use plastic in their packaging and to provide better labelling on non single use packaging regarding the items' correct form of disposal. To provide accurate, up to date, relevant information on all forms of plastic and their available alternatives. Holding publicity events such as a beach clean and plastic waste sculpture competition. The delivery of informative and educational talks from public sector recycling organisations and other appropriate professionals. Holding workshops on ‘up cycling’ and making non plastic alternatives to packaging. The provision of information leaflets to be given out at events such as the Black Isle Community Markets. Letter writing and campaigning to relevant businesses requesting their co-operation and support in the reduction or phasing out of single use plastic packaging and for the provision of accurate plastic recycling labelling information. The creation of a Drastic Plastic section on the Transition Black Isle website, with appropriate links to the wider Web. Relevant access to & interaction with appropriate social media such as Facebook and Twitter. The formation of an online Directory of local outlets, who are providing suitable alternatives to plastic packaging. Having a stand at one of the Inverness environmental events or TBI Markets to provide information on plastics, recycling and alternatives, together with running related children’s activities. Producing and selling our own TBI bamboo, reusable coffee ‘on the go’ mugs and bio degradable ‘dog pooh’ bags. Holding a ‘Plastics Awareness’ film night. Running a TBI workshop on ‘How to make reusable waxed food storage bags’. 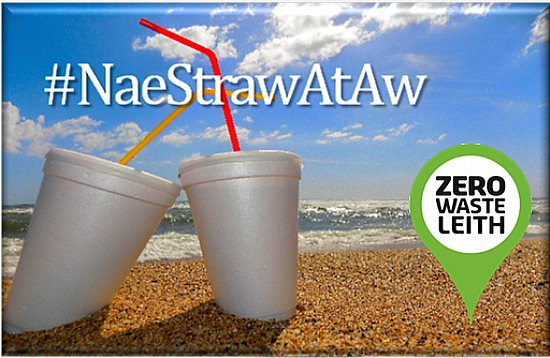 Taking part in national ‘online’ plastic protest petitions and joining in with national ‘Plastic Awareness’ events. Group letter writing to local businesses to provide positive suggestions and information of alternatives to ‘single use’ plastics, particularly regarding food packaging. Setting up a Drop Box for group members to collect and share information. Using the newly created Drastic Plastic webpage to provide articles of interest, information and appropriate ‘links’. Minutes of the meeting on 19 September 2018. World Environment Day 2018 saw the launch of the #BeatPlasticPollution campaign which encouraged people across the globe to ditch single use plastics in favour of reusable alternatives. Check out these simple alternatives you can use to make a huge difference and join the reuse revolution! Be sure to carry your reusables with you when you are out and about and pack a spare cloth bag too! For more ideas on how to reduce plastic use read this handy cheat sheet. 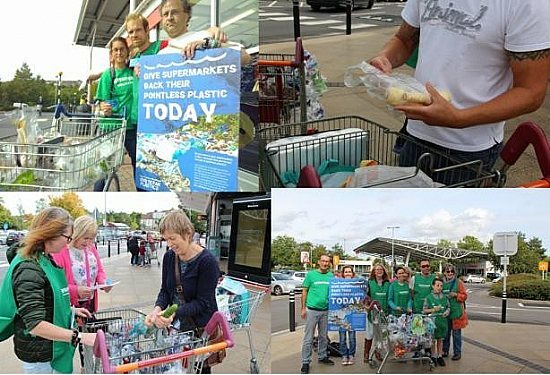 Bristol Greenpeace volunteers and supporters were offering shoppers the chance to show their opposition to the excess plastic packaging that comes with the weekly shop, especially when buying fruit and vegetables. Our campaigning outside two major supermarkets on Saturday 15th September was part of a national Greenpeace campaign called #ShoppersRevolt and it also coincided with an international day of action called #Plastic Attack which was coordinated in Bristol by One By One Conservation. Greenpeace groups targeted some 64 shops up and down the country, but many more were visited by Plastic Attack teams. "Loads of people like you have shared your photos of excessive plastic packaging and said that you’re fed up with the pointless plastic that comes with your weekly shop. Sometimes it’s possible to avoid plastic packaging, but a lot of the time supermarkets don’t give us a choice. "It’s time supermarkets were faced with the responsibility of dealing with the pointless plastic they’re producing - instead of leaving customers frustrated with packaging they don’t want or need. "Lots of people who work in supermarkets have been in touch to tell us that they’re frustrated by the amount of packaging their employers produce. The people who are making the decisions about packaging aren’t the people working in our local supermarkets - it’s the big bosses who have the power to make change happen. "So we need to get the message through to them. That’s why we’re calling on shoppers around the country to take peaceful action in local stores and online. Click the link below for more info on how you can take part." 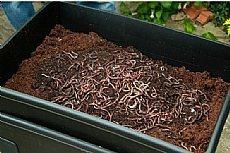 In their August Newsletter, Changeworks / Home Energy Scotland reported on the challenge undertaken by Mhairi Scott, one of their Waste Wise Volunteers - to go plastic free for the whole of July.